High-quality, solid-state condenser excels on vocals, voice-overs, pianos and more. The MA-301fet is a multi-pattern large diaphragm, solid-state condenser microphone. Based upon the popular MA-201fet designed by David Royer, the MA-301fet adds a 3-posistion pickup pattern selector, a15dB pad and a switchable bass roll-off. 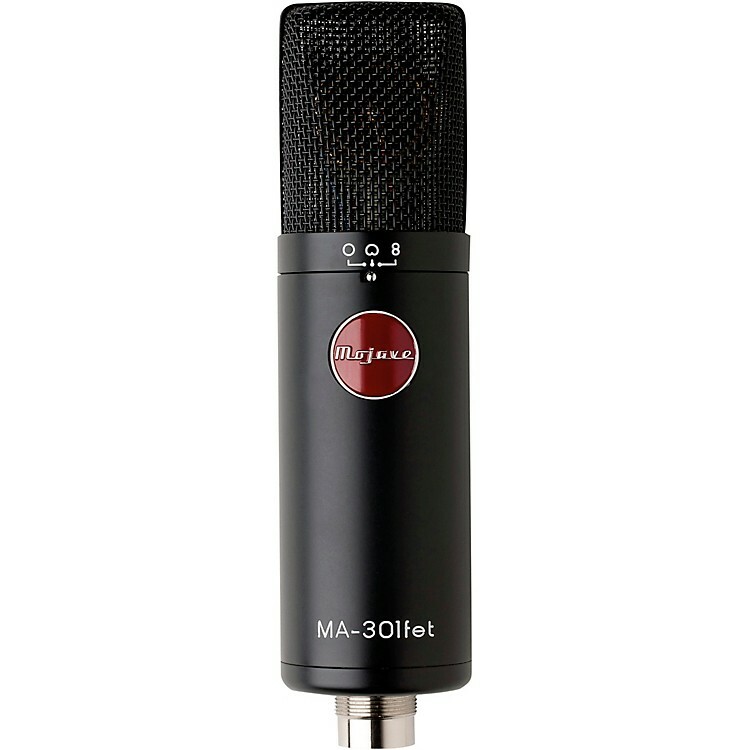 Clean, clear vocals, order the MA301FET today. TRANSDUCER TYPE: Externally polarized, pressure gradient capacitor - double diaphragm. MAXIMUM SPL: 120 dB with pad off, 135 dB with pad on. Carrying case with microphone, shock mount: 10" x 9" x 4.5", 4 lbs.